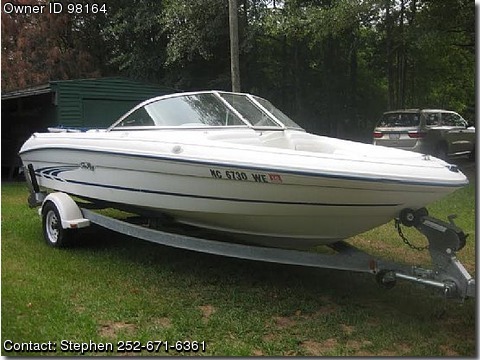 Please contact boat owner Stephen at 252-671-6361. Bow Rider Series 175 in excellent condition and an excellent running boat with swim platform and radio. Trailer and Bimini top canopy included. Mercruiser IO engine 3.0 liter four cylinder equates to 130 to 140 hp with new marine battery.